Based on ‘The Wisdom of Eve’ by Mary Orr. The film won six Oscars including best film, best director and best screenplay. 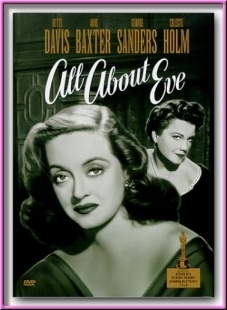 About an aging film star (Bette Davis) who’s friendship is won by a young ambitious actress (Anne Baxter) in order to take her place in the spotlight. Marilyn plays the girlfriend on a theatre critic. Her character is desperate to become famous but has no talent.